Spring is here! I love the spring weather but I’m not sure I like all this sunshine exposing all my dust bunnies! After a long winter, our house is always in need of spring cleaning. I spent last weekend starting the cleaning and organizing process. 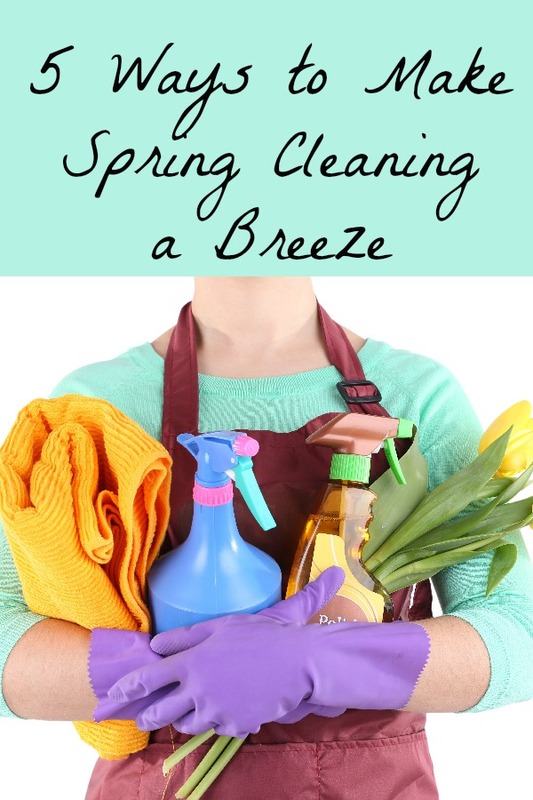 Spring cleaning can be stressful but it doesn’t have to be. We have come up with 5 simple ways to make spring cleaning a breeze. The first thing you need to do is make a list of everything you want to complete and check these items off as you go. I always feel more accomplished when I have a check list. This also makes it easier to delegate tasks to other members of your family. After you have created your list, head to the store and pick up all your cleaning supplies in one trip. This way you don’t have to make a trip back to the store for that one cleaning item you forgot to purchase. This includes items like trash bags, window cleaner, floor cleaner, a new broom, etc. TIP: If you want to save a shopping trip, you can check out the special Spring Cleaning section on the Discover Deals page featuring savings at retailers including: Earn 10% CashBack Bonus at Home Decorators Collection Online and Earn 10% CashBack Bonus at ACE Hardware Online. Take it one room at a time so it doesn’t get overwhelming. It is okay to take breaks as the dust will still be there later. If you feel like you can’t do it all, get help. There is no reason to feel overwhelmed. If you can, hire professional help or find a local teenager that wants to make some extra cash. Make sure you have a reward planned at the end of it all, whether that be a massage, a shopping trip just for you at the mall, or a nice dinner out with your family. As a reminder, make sure to sign up for Discover’s 2nd Quarter 5% CashBack Bonus rotating category. Make sure you sign up so that you can receive 5% CashBack at Restaurants and Movies from April to June. This would be a great way to reward your family after the spring cleaning is completed! Keep up to date on all the latest Discover news on Discover’s Facebook page. 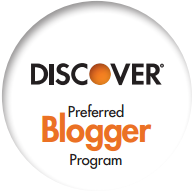 My views are my own and do not necessarily reflect the views of Discover Products Inc. and its affiliates. This post was sponsored by Discover Card. Rest assured, this Post was written by me and was not edited by the sponsor. Read more on my Disclosure Policy.